Before your big day there’s a big night out. Wedding season is in full flow and, here at Stitch & Print, we’re seeing the usual enquiries about Stag and Hen Party T-shirts from our many new Cumbria customers– as well as some less traditional requests from within the county and the Borders and Eden Valley! Hen parties tend to fall into two types – the drink and dance party nights and the relax and refresh spa breaks. We cater for both with a selection of T-shirt designs to mark out the party crowd (not including L plates, pink cowboy hats and feather boas) and fluffy dressing gowns and slippers for those who are planning to pamper. Our hen party T-Shirts are always a favourite for the girls’ big night out and we’ve loads of options: round neck, V-neck, short-sleeved, long-sleeved, fitted or baggy. Brides –to-be (or their bridesmaids) can choose from Stitch & Print’s range of hen night designs or send us their own idea and we can make something different – we can even bling a design with diamante effects for the perfect party. 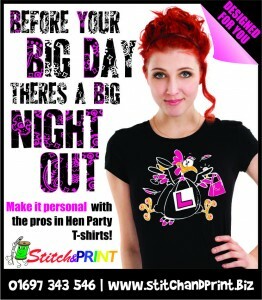 One of the biggest hen party orders we ever had at Stitch & Print was for over 50 T-shirts for a local Cumbrian wedding. These covered five different hen party dates and venues so the “Tour Dates” were recorded on the back with ticks for which ones the various girls were attending. Stag Do T Shirts Too! And for the gentlemen (! ), we have a similarly wide range of colours, T-shirt designs and styles. Stag night T-shirts tend to use a few standard jokes and images but we’re happy to create something a bit different if the best man has his own ideas. One of the more unusual ones we were asked to create was for a diamante L Plate to be printed to the nether regions of a fluorescent yellow mankini whilst the rest of the boys had matching coloured T-Shirts to show their support – not a pretty look but decidedly funny! We all know stag parties tend to be wild affairs and I think the main benefit of a party T-shirt is often to help these lads to recognise each other across a crowded bar or club. But if your chosen venue isn’t keen on something too in your face or larger groups of boys on the night out we’ve done hundreds of polo shirts with more discreet logos to help you find each other. Hen Party T Shirt for a Wilder Women’s Weekend! Whatever the ideas for the order and however many people are involved, it’s great for Stitch & Print to be part of a couple’s big day and we enjoy coming up with something a bit different to get the party started. This entry was posted in Leisurewear, Store categories, T Shirt and tagged hen party, leisure, printed, stag party, T shirt on 23rd May 2015 by admin. Hoodies ready and waiting for your imagination to create a custom leavers memento! Whether you’re leaving School, College or University this year It’s decision time … No! Not what you’re going to do with your life … What you’re going to do, to create the ultimate custom leavers hoodies for your gang in 2015 and in the next few years too! THAT’S the first BIG decision! Custom Leavers Hoodies: Starting Points! 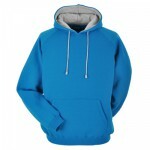 Deluxe hoodie in Cyan: A popular starting point for leavers hoodies. So what are your choices for 2015 up in this corner of Cumbria? Well, as always, the most obvious choice is the traditional over the head hoodie. We’ve some great options from the deluxe weight hoodie from Papini to contrast colour options & single colour hoodies from the AWDis range in a standard weight of fabric. The option often chosen is to go for the standard weight because you’ll be leaving in May or June & you’re considering how warm that deluxe weight leavers hoodie is going to be. But remember, those cool custom leavers hoodies are for life, not just for July! We see ex students still proudly wearing their old personalised leavers hoodies years after the date, all year round! So maybe, (hopefully!) that deluxe weight that’s going to be a bit warm during the day that you have your leavers party, comes into its own when December comes around & you’re walking home in a chill Northerly wind … you get my drift? And they work just as well for any of our customers from more southerly climes too! Zoodies are a cool zipped alternative for the usual custom leavers hoodies that everyone else might have. Over the last couple of years there’s been a big increase in the amount of people taking a zip through hoodie option. The Zoodie looks like becoming a firm favourite, for extra cool leavers hoodies around the UK, as the option of the quick throw on / throw off offered by the zip looks to be a winner, especially if you’re having a big hair day! Again, available in both standard weights as well as the deluxe weight you’ve loads of colour options available. We’ve seen a couple of these around Carlisle recently and very smart they looked too! The other option that people often look at is the college style jacket. There’s some great new colour options this year and across the three popular styles there’s 25 different colour options, So we’ve probably got something that will fit your requirements just perfectly; whether you’re local at Nelson Thomlinson School or finishing at the University of Cumbria! So? Try something different this year & go with a college jacket rather than a hoodie? The choice is all yours! 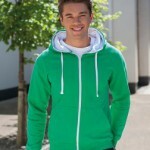 You can check all of our hoodies, zoodies & college jacket range via our on line brochure. 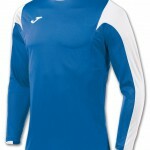 All sizing, as well as colour options are available to view there. Embroidered Hoodies. We’ve embroidered school badges, simple text and personalised names to the breast area as well as larger personalised names to the back of garments. We have years of experience and there’s almost nothing we can’t accomplish for you with our hoodie embroidery skills and technology. Chest & Breast Hoodie Printing. We’ve supplied custom leavers hoodies with small printed logos to the breast as well as larger school & college names across the chest. If you’re looking at the latter we’d suggest not looking at the Zoodie as it can be an expensive process to take care of the zipped area with a tidy print! Back of the hoodie. The most popular option for you to customize your own hoodie is still “LEAVERS” or “CLASS OF” with a large number (15 for this year!) made up of the names of all of the people involved in your leavers year. Decorate it, personalise it, or customise it how you want, there are loads of different options for your school, college or university custom leavers hoodies. Not sure what you want on there? Want to get an idea how it will look? You can use our on line garment decoration tool to try out your options. So how many do you need? We have a minimum quantity of one …….. But if there’s 200 of you we can still deal with it. We’ve loads of different options on decoration production to cover different class sizes in the most economic ways possible. Give us a call, or use the contact form to send us your enquiry. This entry was posted in Hoodies, Leisurewear and tagged college, Cumbria, embroidered, hoodies, leavers, leisure, printed, promotional, schools, university on 5th February 2015 by admin. We have a large range of work jackets to suit all manner of professional and trade requirements; in Cumbria particularly, but also for the North West and the rest of the UK too. And we’re not all work and no play either! Many of the styles and materials finding their way into the modern workwear jacket choices, owe their availability to developments in outdoor activities – a particularly relevant Cumbrian factor – with the Lake District at our heart. So, if it’s a lightweight shower-proof sports training jacket for fun and games time, out in the rain: sorted! Maybe you need a stylish work jacket as part of a staff uniform package: we can give you what you need! Perhaps you need a more robust one for your staff’s working environment? We have you covered there too. From rugged garments that work well as a builders jacket to a warm soft shell work jacket that keeps outdoor staff warm and dry on their rounds: they can all be found and customised easily. You can use us to help you make your own choice of jacket into a really smart item of uniform, to show off your brand and your professionalism. Take a look at our online brochure for full details of the possibilities for you to create a custom jacket that’s just right for you or your business! Your brand is crucial to your business, so we can customise our wide range of jackets with embroidery or print, to your requirements, with your club, team or business logo. We use a range of garment embroidery and print garment decoration techniques, carefully choosing the best option to suit your requirements. 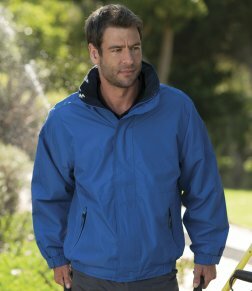 Papini Tempest work jacket makes a great casual option too. Included in our range of lighter weight jackets there are sports training jackets, wind cheaters, rain jacket & trouser sets. One of our favourite options is the Papini Tempest jacket which is a great choice for sports teams, schoolwear and staff uniform as well as the work environment. It makes a great work jacket because it’s lightweight, waterproof AND windproof – perfect for Cumbria’s often fickle weather! The Tempest comes in all adult and childrens sizes in black & navy blue with hi-vis piping. 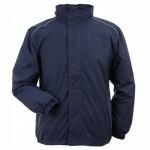 It has a sophisticated Nylon Aquatight coating which ensures you stay dry. It features an inside pocket with earphone channel for MP3 Players & phones. 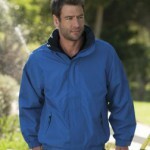 Our range of midweight jackets covers a whole raft of options. There are shells that make superb waterproof work jackets. These can be worn either by themselves or use the benefit of plug & wear options with suitable fleeces; or bodywarmers for colder weather. You have the choice of Blouson styles as well as fleece lined jackets perfect for our changeable British climate. One of our largest selling jackets in the range is the Regatta Dover jacket. A fleece lined, blouson style work jacket that is windproof & waterproof. The Dover jacket comes in a wide range of colours and has an impressive set of features which, along with a competitive price, makes it a sure fire winner. Add embroidered branding and you’ve got the perfect custom jacket for work! And to be honest, they can be perfectly casual enough for leisurewear too! Result softshell jacket. Women’s in pale blue. In recent years the soft shell work jacket has become very popular, initially it was a more flexible alternative to the shell waterproof for climbers and other hyper active outdoor sports people. However, the quality and flexibility of the fabrics soon caught designers’ eyes. They rapidly entered the work wear market. The benefits of the flexible, warm and showerproof Schoeller softshell fabrics and their imitators, have led to some very practical and smart looking work jackets indeed. Available in both unisex & ladies specific fits, soft shell work jackets, like the Result softshell illustrated, are suitable for a wide range of uses especially sports & active wear as well as staff uniforms. The benefits include stylish cut lines, lighter weights & versatility. The windproof & waterproof outers, mixed with either repellent finishes or weatherproof membranes & micro fleece linings really have caught peoples imaginations in what they can wear to keep dry while still looking stylish. They are a great base for embroidered branding as well making them a great choice for your workwear jackets when planning your next staff uniform purchase. Be honest …….. Some days you just want to stay warm & dry! There are days up North, in the Lakes and the Dales, when only a completely waterproof work jacket fits the bill.The most popular styles in heavyweight jackets tend to be 3 in 1 set-ups with a heavyweight weather proof outer backed up by a fleece or bodywarmer inner layer that can be easily zipped in or out to provide flexibility. There are however plenty of alternatives including Parka style jackets as well as padded puffa styles. So if you’re out in the elements on a regular basis, as so many agricultural workers and logistics people are in Cumbria, we have a range that is bound to have something suitable for the look, comfort, warmth and watertightness that you require. Check out the heavyweights on the jacket tab of our main brochure where you will find great choices from brands like Trespass and Regatta. Bodywarmers – Bodywarming Backup for Jackets! Our range of bodywarmers or gilets are great as a second line of “comfort defense” for your colder blooded staff! When you are asking them to work efficiently and they need a little bit of extra warmth round the middle bodywarmers are ideal. 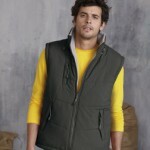 The sleeveless design means they can slip under the regular work jacket without cramping the free movement of the arms. The result? Happier more productive staff! The Stitch and Print range includes lightweight bodywarmers suitable for everyday wear whatever line of work you’re involved in. We also give you a great choice of specialist workwear bodywarmers for more rugged work environments. There are padded bodywarmers as well as soft shell styles. Whether you’re looking for unisex or ladies styles we have a range of options that’s second to none and will have something suitable for your warmth and branding needs. Embroidered Work Jackets – The Stitch & Print Solution! Your choice of work jackets comes in many shapes, styles and sizes, but the thing that they all have in common is their excellent quality. In a range as big as ours we’re bound to have favourites, we choose ours based on the best mix of quality versus price, as we want you to be happy & to keep coming back as a valued customer. We stock a great range of familiar brand names. Regatta, Trespass, Portwest, Henbury and Dickies are just some of the big names we stock, but if we think there’s a better alternative in a lesser known brand we’ll point it out to you. You can check out our stock range via the web brochure or you can request a hard copy. For further information contact us via the website or by phone. This entry was posted in Jackets, Leisurewear, Workwear and tagged bodywarmer, borders, Carlisle, Cumbria, Eden Valley, embroidered, jacket, North West, softshell, work jacket, workwear on 8th January 2015 by admin. Looking for something a bit different as a gift? How about personalised robes? These luxurious items are ideal gifts for Christmas, Mothers Day & Fathers Day! After all we can’t leave Dad out can we? For the ladies they work really well as a fantastic accessory for that girlie pamper day you’ve got lined up for your hen party! They’re also a perfect add on for hotels & spas! Simply add in your company logo and branding to create your unique top end look & feel. Luxurious kimono style personalised robes make a superb gift for a loved one! The TC86 is ideal for hen party pamper days as the fabric is suitable for decorating with diamante stones to add sparkle to your weekend with the girls! Design your own unique personalised robes with embroidery to either the breast or the back as your imagination sees fit. With a little help from Stitch & Print our robes will solve some of your Christmas and big occasion gift headaches! This entry was posted in Garment Decoration, Leisurewear, Product updates and tagged Cumbria, diamante, embroidered, gift, hen party, Lake District, luxury, North West, robe on 4th November 2013 by admin.